Build a website to promote, and take registrations for the ‘European Malacological Congress 2014’ conference (~10 pages). The site was built using WordPress. As there were few design requirements, it was decided to use the PageLines theme with minimal customisations to keep costs down. The homepage was created using PageLines’ “Boxes” and “Quickslider” populated with adaptations of their graphic designer’s banner. The “AddThis” social bookmarking plugin is installed, to assist sharing information about the conference. 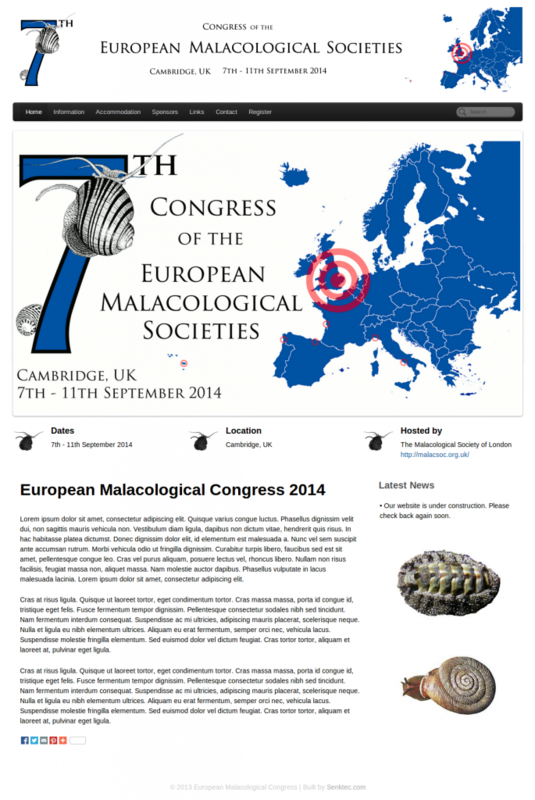 European Malacological Congress 2014 — Screenshot.